The holiday season can often bring anxiety and depression for caregivers and their loved ones. What is refreshing about Deborah Shouse’s book “Love in the Land of Dementia” is that she offers hope, practical advice and inspiration for caregivers, especially those whose loved ones suffer from Alzheimer’s disease. This is a beautifully written, captivating story of Shouse and her aging parents. She begins when her mom shows the first signs of dementia in 1997, and she continues until her mother’s death in 2004. After her father has a stroke, Shouse convinces her parents to sell their home in Memphis, Tenn., and move to a retirement community near her in Kansas City. However, her mother seems to quickly succumb to her illness. Within three months, she is moved to an assisted living facility. She wanders into other patients’ rooms; she refuses to bathe. She sometimes urinates in the hallway. Eventually, her care becomes too much for the assisted living facility, too. Shouse continues her mother’s story, sharing the grief she and her father often experience, along with frustration and anger. But the one message that comes out during this memoir time and again is how Shouse learned to love her mother at each stage of Alzheimer’s. She stopped comparing her to the woman she used to be and started finding joy in her mother’s daily life. This is one of the ways that Shouse, her brother and father learned to find love in the land of dementia. Besides this being a memoir, Shouse has several helpful resources in the last quarter of the book. She includes sections such as “Taking Care of Yourself: A Caregiver’s Guide,” “Making the Most of Your Time Together” and “Activating Your Advocacy.” She includes resources, websites and groups to contact if someone you love suffers from Alzheimer’s and you need some help and support. Shouse and her life partner, Ron, also started the HERO project to help people with dementia stay connected to their friends and family. “The HERO Project combines storytelling and scrapbooking techniques in a dynamic, playful and interactive process that highlights and celebrates everyday events and honors the person who has Alzheimer’s,” she wrote. Shouse proceeds to give step-by-step directions in the back of her memoir for how to conduct a HERO project. For more information, check out her website at thecreativityconnection.com. Shouse also traveled around the world, sharing the stories in the book in places like New Zealand, Costa Rica, Italy and England. In each place, she met people Alzheimer’s disease has affected. Another amazing point about this author is that she originally self-published her story, using all the money the book generated to donate to Alzheimer’s programs and research. Her goal was to raise $50,000. In the introduction, she shares that she and Ron have raised more than $80,000. If Alzheimer’s or another illness is worrying your family this holiday season, Shouse’s book is proof that someone out there understands, has learned from her experiences and is willing to share them with you. Margo L. Dill is the author of “Finding My Place: One Girl’s Strength at Vicksburg,” a middle grade historical fiction novel. She often reviews books as a columnist for “WOW! Women On Writing” e-zine and her blog, “Margo Dill’s Read These Books and Use Them” (margodill.com/blog/). She lives in St. Louis with her family. Shouse writes in a straightforward fashion about her mother’s descent into dementia, and the relationship between her parents, not shying away from issues such as what happens when a strange man is in her mother’s room or how she becomes more childlike. What’s lovely is the testament to strength of her parents’ marriage and how she writes in a way that’s both accessible and wise. There’s a section early on, before her mother enters long-term care, where her father becomes exasperated with how forgetful his wife has become. Shouse, who is a delight in person, told me the book has been well received by nursing homes, and I believe I know why. She’s quick to acknowledge the nurses, the activities director and how the employees work to engage residents. Toward the end, she meets Naomi Feil, who created “Validation Theory,” and joins a Validation Circle. 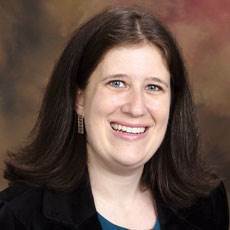 Elizabeth Newman is the senior editor at McKnight’s Long-Term Care News. Follow her on Twitter at @TigerELN. I saw the presentation. Good job.